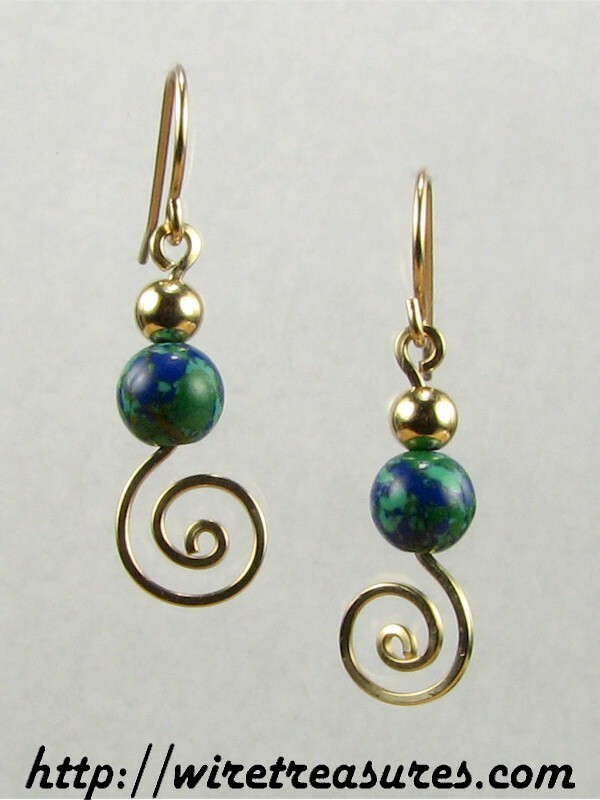 These 14K Gold Filled wire swirled earrings each have a 6mm Malachite & Azurite bead and a 4mm GF bead. These earrings hang down about 1-1/8 inches. You are visitor number 2,691 to this page.